What to measure, how to measure, who is qualified to do a survey and what tools are available to support this activity are commonly asked questions. 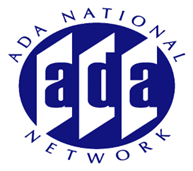 This two-part series will explore the requirements to conduct accessibility surveys by business, government and educational institutions to ensure that they meet the requirements of the ADA. Topics to be covered include what to look for in an existing facility as well as a facility that has undergone renovation and/or was newly constructed since the implementation date of the ADA. Experts in the field will share their "lessons learned" and tricks of the trade.